In honor of our camp nurses, we wanted to share a few of their stories with you! The first nurse we are featuring, Angela “McGruff” Wilke, has a deep history with Pine Cove. She grew up as a camper, became a summer staffer when she was in college, sends her sons to youth camp, and her whole family has come to the Woods the last few years. Not all of our nurses have this kind of Pine Cove history, but we love her story! Fast forward a few years and here I am getting to relive my love for Pine Cove through my kids as campers and as the nurse for a week. If I’m being honest, being the camp nurse for a week was more demanding than I thought! You have to be “on” 24/7 while you’re at camp. You are the mom, nurse, and doctor (so to speak) for these kids (and staff) while they’re away from home, familiar schedules, and comforts. I have helped with homesickness, stomach bugs, broken bones, rashes, aches and pains, and even a ruptured Achilles tendon! Despite being tiring, there are blessings in getting to be a part of this ministry. The relationships I’ve made with the Health Assistants are ones I continue to keep to this day. THEY give selflessly the entire time they’re at camp, not just for a week, but weeks on end! They are humble and hard working. They are encouraging and seekers of the Lord. Pine Cove taught me so much growing up and continues to do so now that I am a part in a different way. Today, it’s mostly through the staff. The college staff pours out their hearts to Jesus and to the kids, week after week for six or even 13 weeks! It’s emotionally and physically draining, but the rewards are great. It brings tears to my eyes to witness this kind of dying to self to make the name and love of Jesus known to the campers. 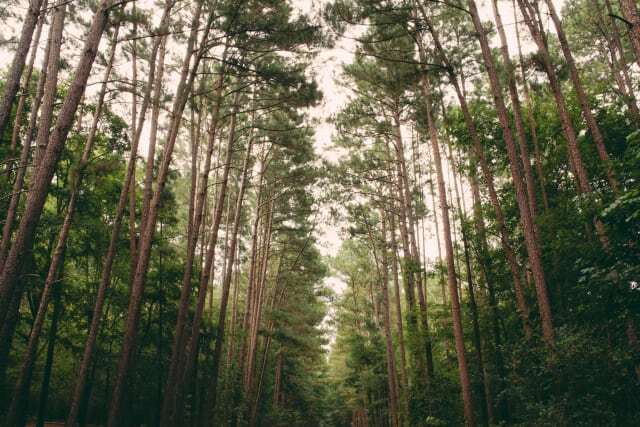 Thank you, God, for continuing to use the pine trees of East Texas to lead people to you! Thank you, Angela, for sharing your story with us! We will continue to feature more of our camp nurses in the months to come, because we love them and literally couldn’t do camp without them. If you or someone you know is interested in serving as a camp nurse for a week, email us! We’re always looking for more awesome camp nurses!